Honey has been used for healing since ancient times because it contains hydrogen peroxide, a natural antiseptic, which is produced from an enzyme that bees add to the nectar. 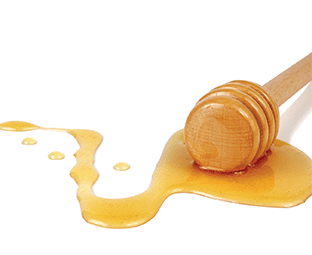 Manuka honey, on the other hand, contains non-peroxide activity, which is responsible for its antibacterial action. This is referred to as Unique Manuka Factor (UMF) – the higher the UMF rating the greater the antibacterial activity. UMF® is the registered trademark of the regulating body, the Unique Manuka Factor Honey Association, and is an assurance of purity and quality. MGO stands for methylglyoxal, a substance which plays an important part in manuka honey’s antibacterial properties. MGO manuka honey is labelled based on the minimum amount of methylglyoxal it contains. For example MGO™ 100+ manuka honey is certified to contain at least 100mg/kg of methylglyoxal. Manuka honey can be consumed in the same way as normal honey. You could add it to various recipes or just take it from the spoon but don’t add it to boiling water as this can kill off the active enzymes. It’s fantastic with lemon and ginger in warm water, particularly if you have a cold or sore throat, as it can be very soothing as well as helping to support the immune system. People with a stomach ulcer could take it with a little bit of bread or maybe mix it in with their morning porridge. You could even drizzle it over a salad for a sweet salad dressing. You can also use manuka honey on your skin. We have had some amazing results among our customers with people using it on varicose ulcers as well as wounds or burns that are slow to heal. Other variations of manuka honey products are available, such as drinks, cough syrups and lozenges. Comvita stock a product which is a combination of apple cider vinegar and manuka honey, which can be used as a health tonic or a salad dressing. They also have a range of skincare products made from sterilised medical grade manuka honey, which can be particularly helpful for those with very dry or eczema-prone skin. So, as you can see, manuka honey has a wide variety of uses and has been shown to help with a variety of different health conditions. If you need any help in choosing your honey or have any questions in general about it, your local independent health food store is always on hand to help. 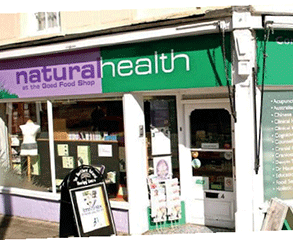 Julie Goodwin is the owner of two independent health food stores, both named Natural Health, with branches in Hertford and Welwyn Garden City. The Hertford store was opened 19 years ago and the Welwyn Garden City shop has been established for 11 years. Both shops stock around 4,500 product lines including vitamins, minerals and supplements; gluten-free and dairy-free products; raw foods; healthy snacks and natural and organic body care items. All staff are enrolled with the Health Food Institute Training School and the A.Vogel Training Scheme. One staff member conducts food sensitivity testing in-store, another is a qualified reflexologist and another is an aromatherapist, hopi ear candle therapist and Daoyin Tao practitoner. A wide range of natural therapies is offered in the stores’ therapy rooms, ranging from acupuncture to shiatsu.